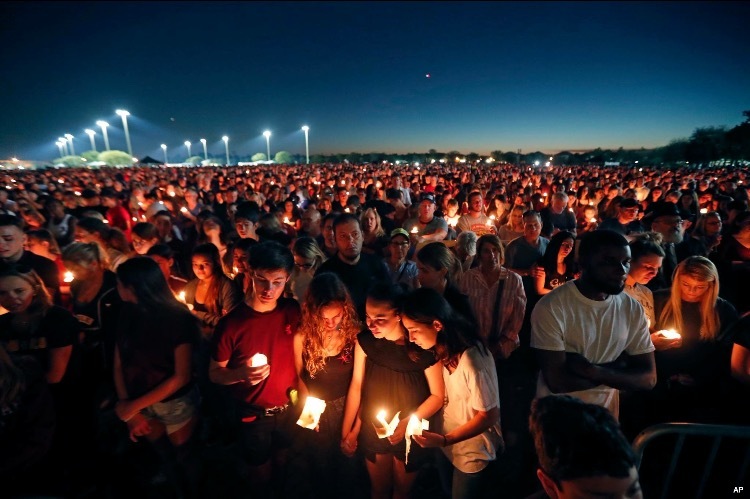 What Happened at Stoneman Douglas High School? February 14th, 2018. Parkland, Florida. There was a missed call from my mom at 2:00 PM. When I called her back to ask what she was doing she told me to come over because she was relaxing. I stopped to pick up lunch and a balloon for Valentine's Day. 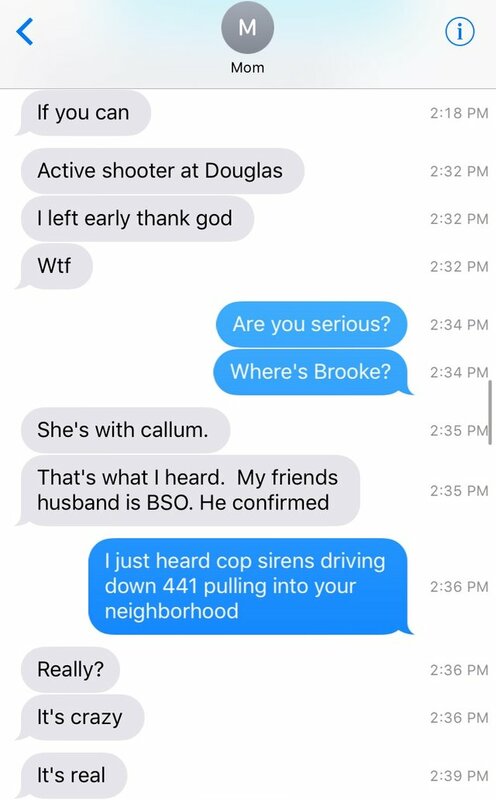 On the way to her apartment she texted me there was an active shooter at Stoneman Douglas High School. My immediate response was to find out where my sister was. Luckily, she left school early that day to celebrate Valentine's Day by going painting with her boyfriend. Mom left school early that day as well because she felt off. When I pulled into my mom's apartment complex I heard sirens blaring. We sat down on her couch and turned on the news to see students being treated by paramedics on the side of the road. Before leaving Stoneman Douglas, my mom told her friend, another teacher at the school, "there's crazy energy today...I have to get out of here." Thank god she left because thirty minutes later a former student walked on campus with a semi-automatic rifle and opened fire on students and teachers. We were glued to the television watching the news. Mom was receiving updates on her phone from friends in the community. She got word that Mr. Feis was dead. She was shocked, and sobbed uncontrollably while telling me how she gave him a Valentine's Day card that morning. "This can't be true. He's not dead. I just saw him. I gave him a Valentine this morning." Brooke, and her boyfriend Callum, came home and we all continued to watch the news unfold. The superintendent of Broward County Schools, Robert Runcie, gave an update confirming that there were "numerous fatalities". Students evacuated the building and were running for safety. Armed police officers and SWAT were lined up at the entrance to the 1200 building where the shooting occurred. My mom's old classroom was in that building. My sister was in that building earlier in the morning. Mom felt guilty for leaving early. She felt guilty for not being there. 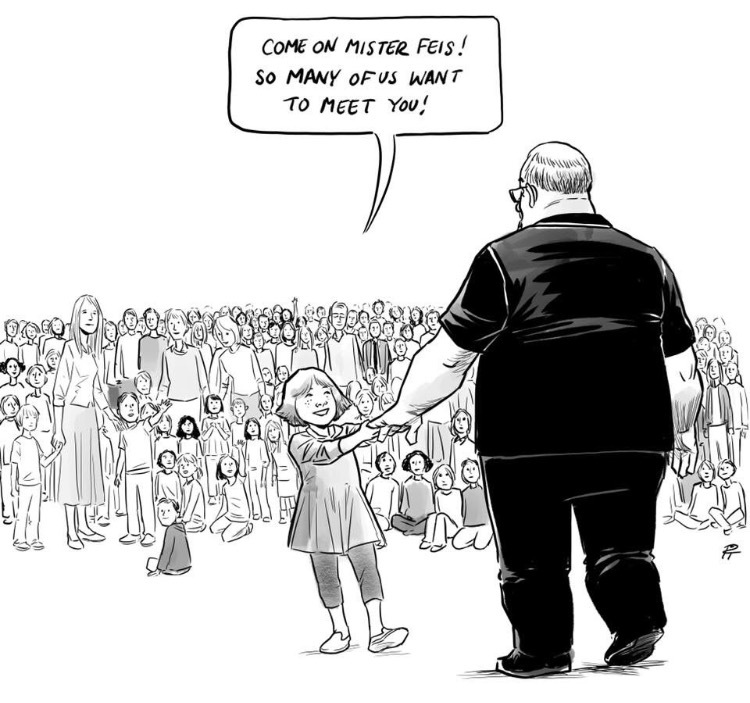 It was a blessing that neither her nor my sister were at school during the shooting. We watched on the news as the shooter was apprehended by local law enforcement a mile away from campus. Broward County Sheriff, Scott Israel, confirmed that there were seventeen casualties. Seventeen. This is unreal. How could this happen in our tight-knit community. Parkland is known for its safety. Nothing bad happens in Parkland. Everybody knew the identity of the shooter before the authorities released his name. None of the students or teachers were surprised. He was labeled as the "school shooter" type. Teachers knew not to get on his bad side. Students didn't mess with him either. People knew he had guns and liked to shoot them. He threatened students before. The FBI received numerous tips about him. How could this have happened? Night fell and reports of missing kids started to come in. Mom couldn't contain her tears when the names of her students were read on the television. We needed to get out of this apartment and get away from the news. This isn't healthy for anyone. We went for a walk to get the mail. We drove to Starbucks. Mom teaches Yoga at the school and was still in her tie-dye Majory Stoneman Douglas Yoga Class t-shirt. She felt guilty. She questioned why she wasn't there. I told her that this community will need to heal, and that she will be an integral component of that process. If she was at the school while the shooting took place then I don't think she would be as strong as the community needs her to be. The next day the community gathered together at Pine Trails Park. 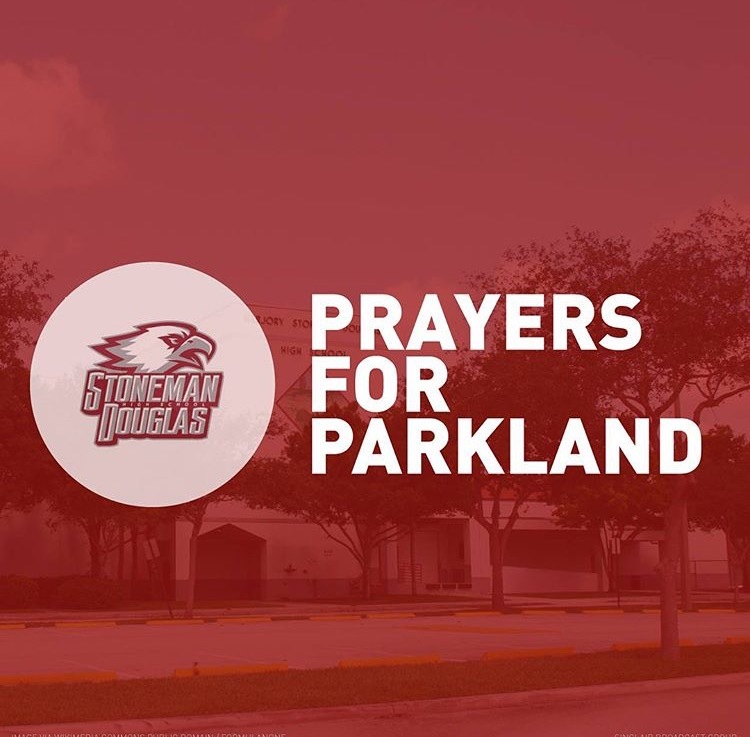 Grief counselors set up inside of the Parkland Recreation Center to speak with students, teachers, and family members. Kids cried while holding one another. The media flooded the park throughout the day. Interviewing students with cameras pressed into their faces. Asking them to relive the horrors of what occurred less than twenty-four hours prior. Community leaders addressed the crowd at 2:30PM. Preachers prayed. The vice-mayor and other city officials spoke. Then they asked if anybody else would like to speak. I made my way to the front and stepped up in front of the hundreds of people gathered. I spoke about the power of love and unity. We need each other. That evening there was a candlelight vigil to honor the seventeen people whose lives were taken away all too soon. Sadness and anger were the two most prevalent emotions. Common-sense gun laws. Mental health awareness. These are the two issues that have stemmed from this tragedy. The students are angry. They want to see change. This is unacceptable and should never happen again. I'm not sure what comes next. This community needs to heal. It will be a long and arduous journey. Things will never be the same. Changes will be made. 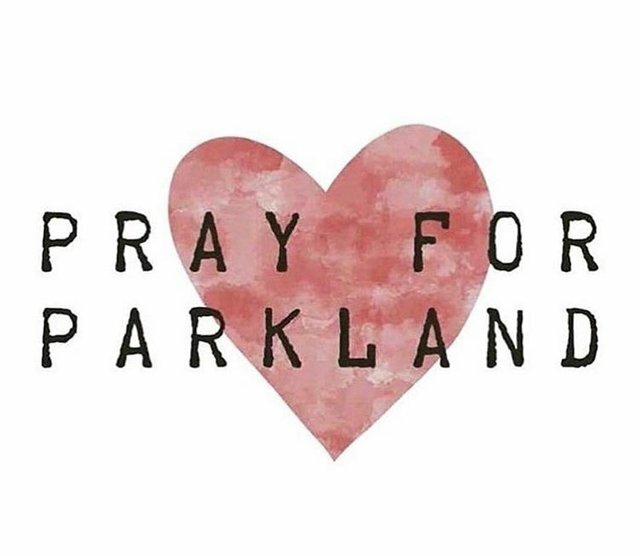 Pray for Parkland. God Bless this community. We are strong. This will not break us. This is only the beginning. Words can not convey what I am feeling at the moment. My heart goes out to the families who lost someone dear to them. Also to those that were injured. The community is hurting. My prayers for everyone to be strong and help each other recover from this senseless act of violence. The community is both hurting and healing simultaneously. It's incredible to see everybody banding together. The students who are speaking up are courageous. Nobody is quite sure how to handle it but everybody is doing their best. It's powerful to see how people in this community are responding to everything that is happening. Right now everyone is in a state of shock and disbelief. You need to be aware that the effects of this will be there for quite some time. Thank you for sharing this. I'm sure that your mom and sister appreciate all of your concern and support. I am also a teacher. These things should never happen...that goes without saying. 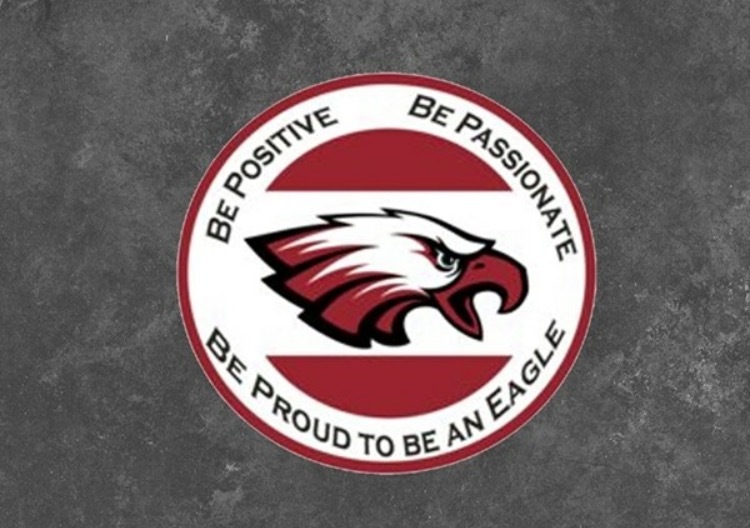 While it does not change what you are going through, please know that my students and I send our thoughts for strength so that you can help each other through this. This was such a horrific week here !! Matt I am very proud how you handled this tradegy! And how you are such great support for your sister and Mom. You got a 1.62% upvote from @postpromoter courtesy of @jkenny!